"I also associate boho design with colorful bazaars and marketplaces in Africa and the Middle East," Lundaas says. "Various textures, colors created from exotic spices, and handpainted patterns all come together and create a warm and interesting effect. 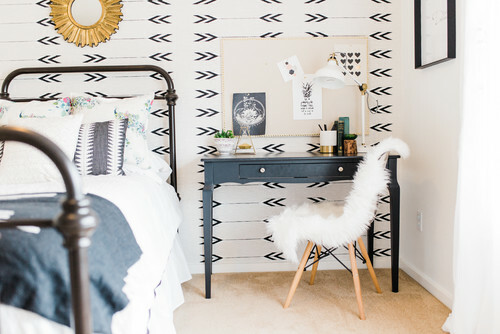 Boho design allows you to mix colors and patterns freely and work with multiple layers." 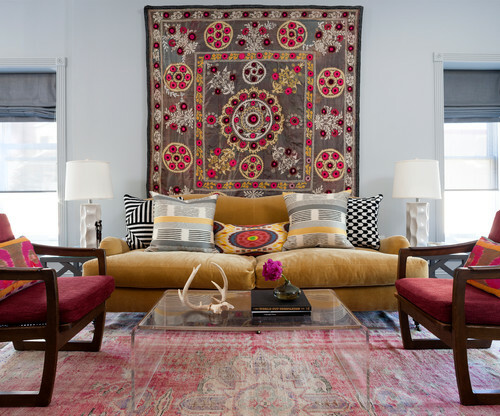 "Boho design is really about self-expression," says Michael Friedes of Michael Friedes Interior Design in San Francisco. "It's about celebrating the individual through an eclectic and worldly aesthetic. Think of many textures and patterns and styles, often with a sense of adventure linked to them." Where did boho home decor come from? Although it's named for Bohemia, in the historic area around today's Czech Republic in Eastern Europe, the design trend takes its cues from a relaxed style that originated in France after the French Revolution, Lundaas says. The aesthetic eventually jumped over the ocean to the United States, growing in popularity in both home decor and fashion in the '60s and '70s. These days, you can spot boho just about anywhere, from chic city lofts to comfy homes in the country. It's made a comeback largely because it allows you to design your home around your personal tastes, rather than trying to make the latest trend or hot new look fit in your home, says Liat Tzoubari, co-founder and CEO of Sevensmith, an ethical home decor brand. "Boho allows you to express your inner self and use pieces and decor that you feel reflect your personality," Tzoubari says. 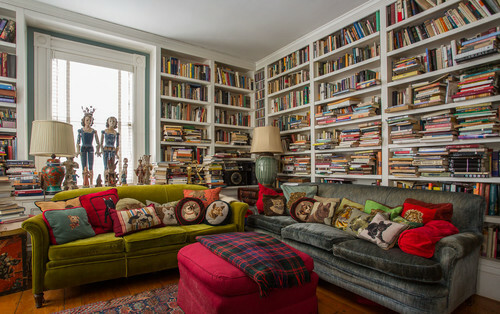 So how do you do that in a way that looks purposeful and designed, not as if a flea market threw up in your living room? The experts have plenty of tips to make boho work in your home. Boho is about comfort, which make it a perfect design choice for much of your home, says Ryan Saghian of Ryan Saghian Interior Design in Los Angeles. That said, your formal dining room isn't going to be the best place to showcase your boho point of view. "Family rooms and bedrooms are more casual spaces where it is appropriate to incorporate this style, and you can have more flexibility with a relaxed look," Saghian says. Whether it's a tapestry on the wall or rugs on the floor, textiles are an easy way to start introducing a boho sensibility. Maybe you found a set of pillows in an exotic print on a trip abroad or at the flea market. "A tribal rug with modern furniture is also a great way to add a layer of warmth and color as well," Friedes says. Talking of flea markets, open-air bazaars are great for finding boho-themed wares. Lundaas credits the sustainability movement with helping to bring boho back, as more people have come to embrace the old, rather than constantly buying mass-produced items to keep up with the trends. With this in mind, she recommends hitting secondhand stores for some truly one-of-a-kind furniture and accessories. Take that, Marie Kondo! 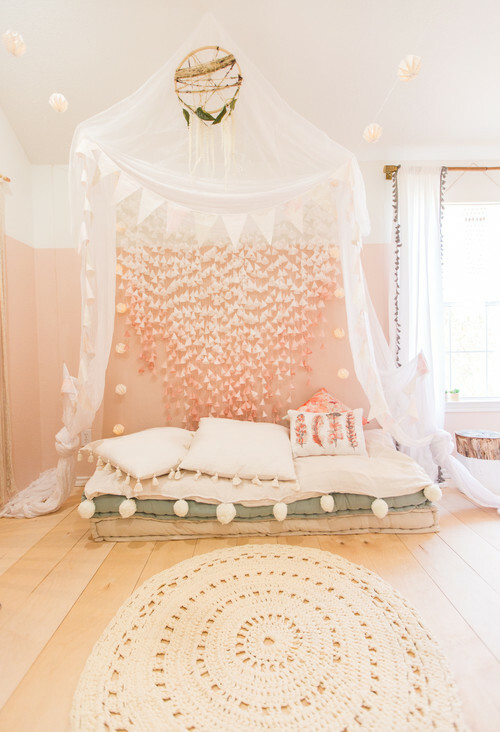 If you're an organization maven or favor a stark, clean look to your home, boho decor probably isn't for you. A home that's truly boho can certainly be clean, but you're bound to see mismatching frames on the walls and furniture set at odd angles. "This style should look and feel effortless but still achieve harmony," Lundaas says. "It’s the opposite of minimalism, so refrain from making it too neat and organized. More is more, in this case." If you're a world traveler, boho design is the perfect way to let your home suggest your taste for adventure. Friedes suggests bringing home pieces from your travels that excite you and adding them to your home—regardless of whether or not they go with your current decor. The more you add, the more your home will reflect your true personality.